It has been a week since I last blogged. Work kept me quite busy, and I had to host a poker/potluck party on Saturday. 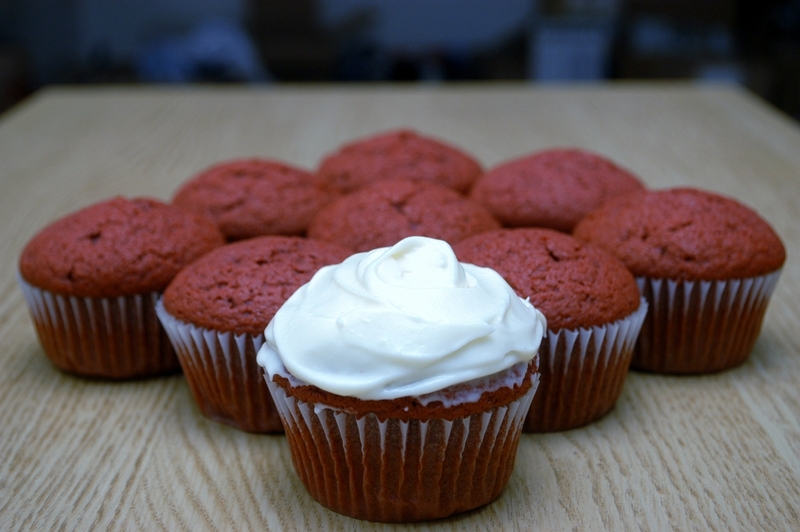 For desserts, I decided to make red velvet cupcakes and a pumpkin roll to add some holiday colors. My friend brought a chocolate cake from Extraordinary Desserts, which was a perfect addition to the dessert table. A year ago, I became obsessed with red velvet cupcakes after watching Paula Deen whipped up the divine dessert on Food Network. Shortly after, Vu’s sister introduced me to Sprinkles Cupcakes in Palo Alto, and I was won over. 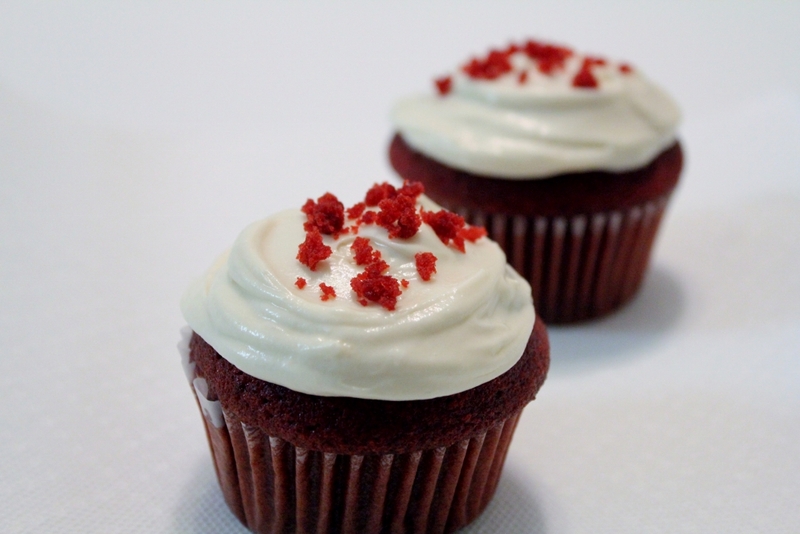 I love making red velvet cupcakes for potluck and parties. I adapted the cake recipe from Paula Deen and made cupcakes which worked very well. 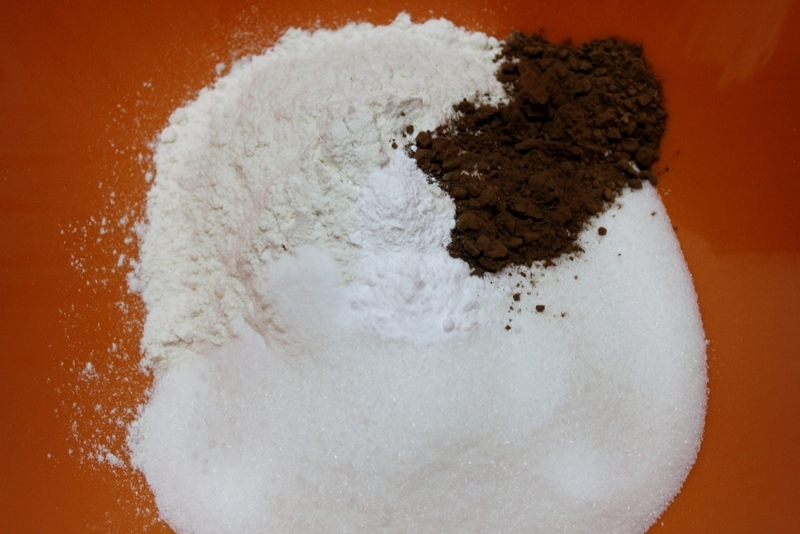 Preheat the oven to 325 degrees F. In a medium mixing bowl, sift together the flour, sugar, baking soda, baking powder, salt, and cocoa powder. 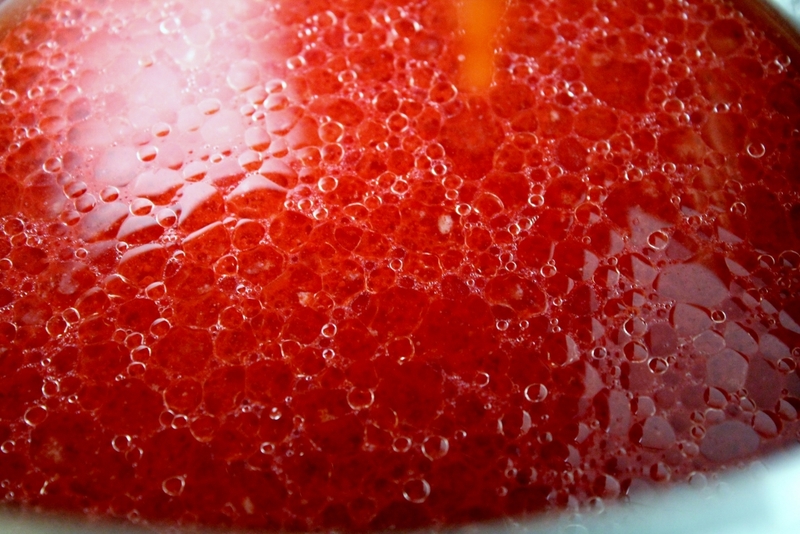 In a large bowl gently beat together the oil, buttermilk, eggs, food coloring, vinegar, and vanilla with a mixer. 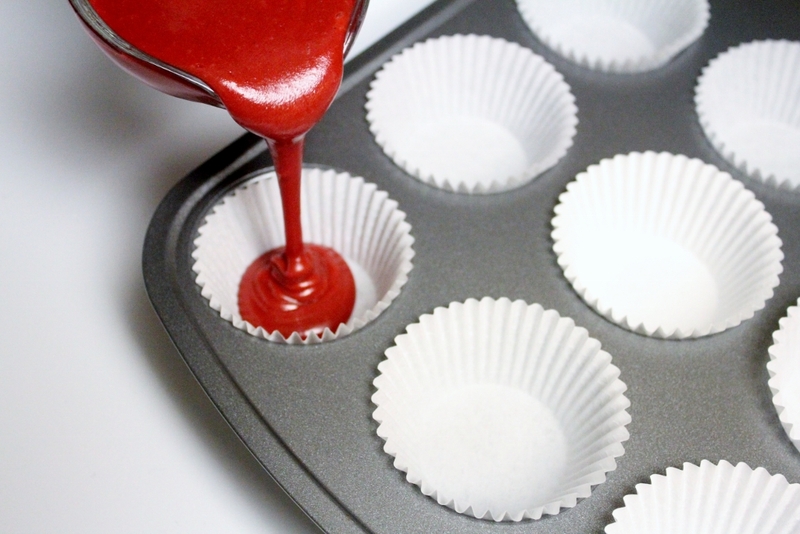 Line 2 (12-cup) muffin pans with cupcake papers. Divide the batter evenly among the cupcake tins about 2/3 filled. Bake in oven for about 20 minutes, turning the pans once, half way through. 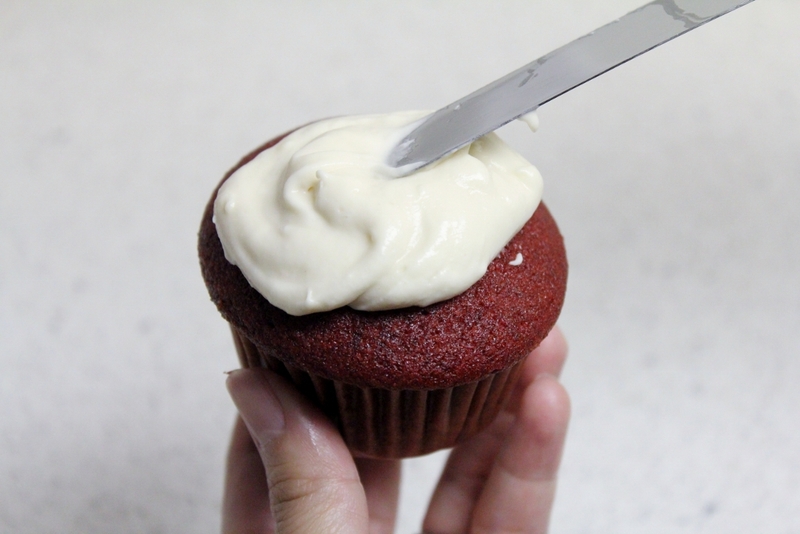 Test the cupcakes with a toothpick for doneness. 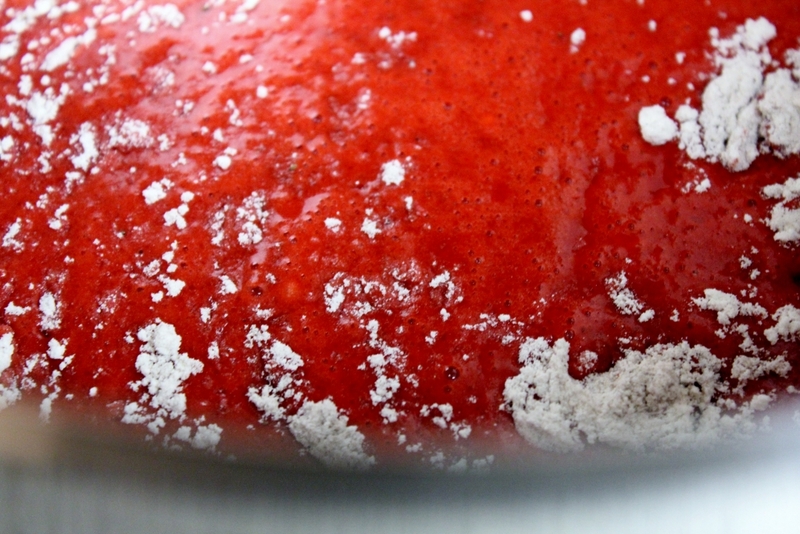 Remove from oven and cool completely before frosting. For the cream cheese frosting, in a large mixing bowl, beat the cream cheese, butter and vanilla together until smooth. Add the sugar and on low speed, beat until incorporated. Increase the speed to high and mix until very light and fluffy. Apply the frosting after the cupcakes are cooled.